Wendy Wahl, photographed by Scott Lapham. 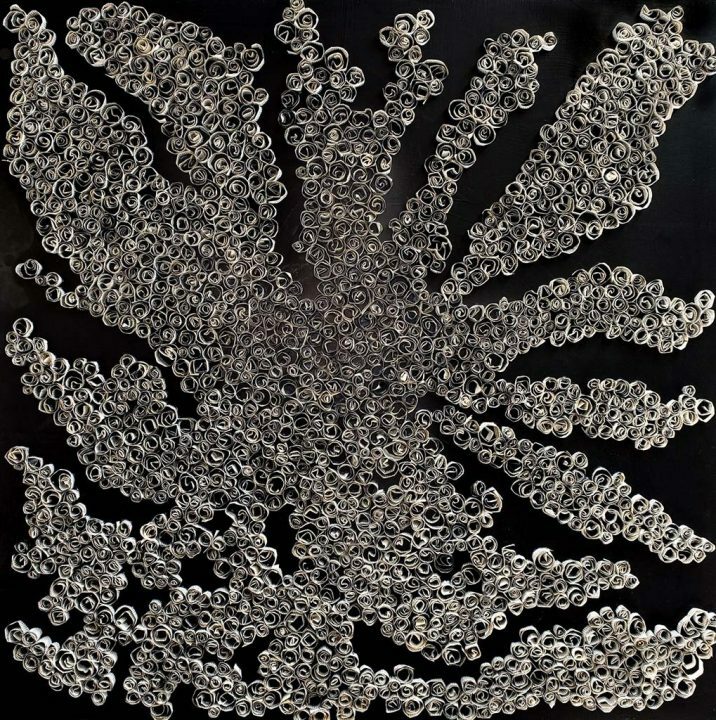 A native of California, Wendy Wahl was born in 1961 and received a BA from California State University, Northridge, before leaving for the Rhode Island School of Design, where she obtained an MAE. 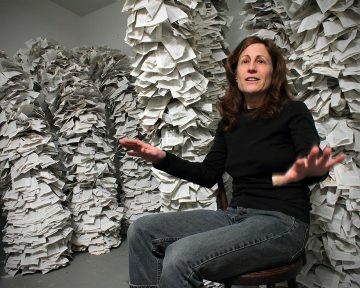 Known for her sculptural work with paper and site-specific installations, she lives in West Kingston, Rhode Island. Restructured Encyclopaedia Britannica on inked panel, 100 x 48 x 3 in.